Home / Media Centre / FAQ / What is the red membership expiry bar? 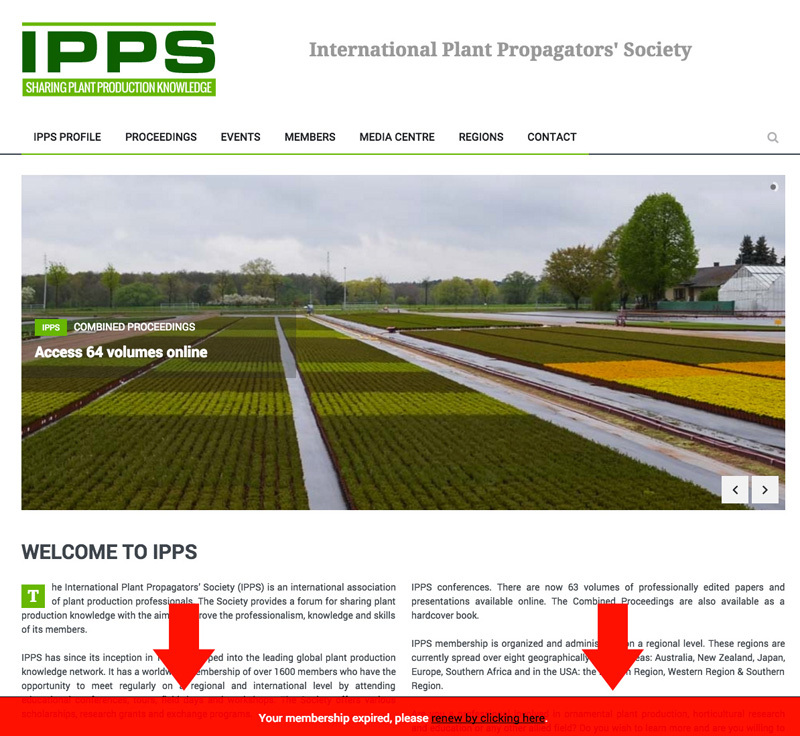 If you see a red membership expiry bar like the screenshot below, it means that you will have to renew your annual IPPS membership. If you're ready to renew your membership, simply follow the link on the red bar "renew by clicking here", and renew your membership. If you're not ready to renew your membership, you can simply log out.